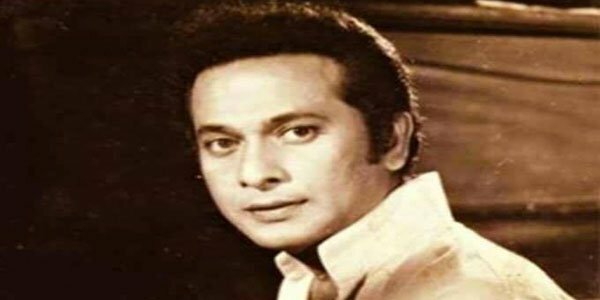 Dhaka – The demise of the Bangladesh’s legendary actor Abdur Razzak saddened people not only in Bangladesh, but also in Indian State of West Bengal as he was popular among them too. People from all walks of life in Dhaka paid floral respect to the superstar as his first funeral prayers was held at the premises of Bangladesh Film Development Corporation. Friends, colleagues, relatives, fans, artists, well-wishers, politicians, cultural activists and others visited the coffin of Razzak, the Nayal Raj (The king of the heroes) at Central Shaheed Minar. 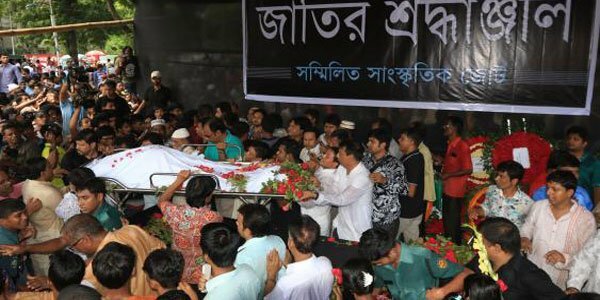 Razzak was taken to the Shaheed Minar after the FDC funeral prayers to allow people from different strata to pay respect and have the last glimpse on him. The superstar died of cardiac arrest on Monday. He breathed his last at United Hospital an hour after he suffered the attack at his home in Gnulshan. Bangladesh’s film industry decided to suspend all shootings for three days from Tuesday to show respect to the iconic figure who acted in some 300 film in Bangla and Urdu languages. Most of his movies were super-hit. As a director, Razzak directed 16 cinemas. The legendary actor will be buried at Banani graveyard after yet another funeral prayers at Gulshan Azad mosque in the afternoon.